Kevin from Scottsdale, Arizona, aka. Sircyko, drummer for St. Madness. I have many configurations for my kit, but here is the partial gear list. 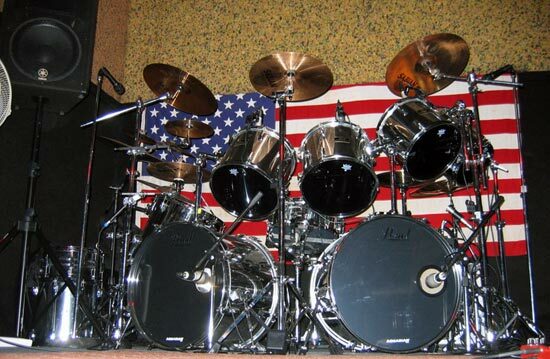 This is basically drums, cymbals, and the hardware to put it all together. You will notice several items repeated, mostly for the sake of having a back-up, used for recording only, or maybe just upgraded and never got rid of the old one. What's not listed here is all the drum & hardware cases (I can case everything! 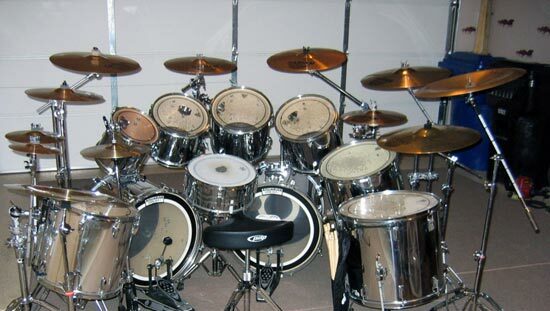 ), drum mic's, mic stands and hardware, drum mixer, DDrum triggers, drum module (Alesis D4, it's awesome), cords, Tama rhythm watch – I recommend highly (but it can be any metronome type tool), and an entire SKB trap case full of spare parts & tools. I hope this gives a clue as to what it takes to play in a professional band, keep in mind we are a true "heavy metal" type band where everything has to be "1" louder. 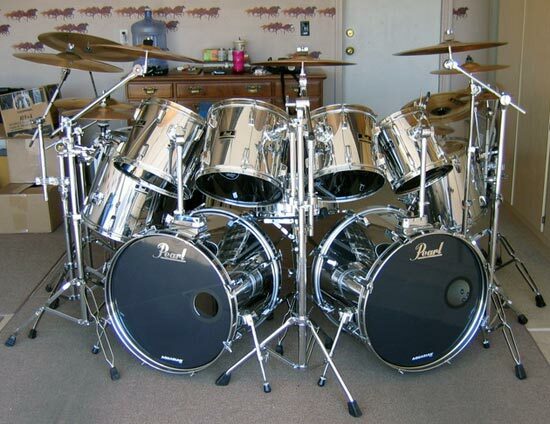 New Pearl kit should be here soon – pictures to follow. 1 – Pewter Nordic Skull – just for fun! 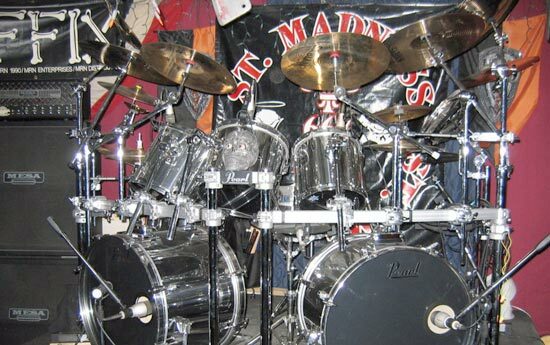 Keep on drummin' – Metal Rules All!